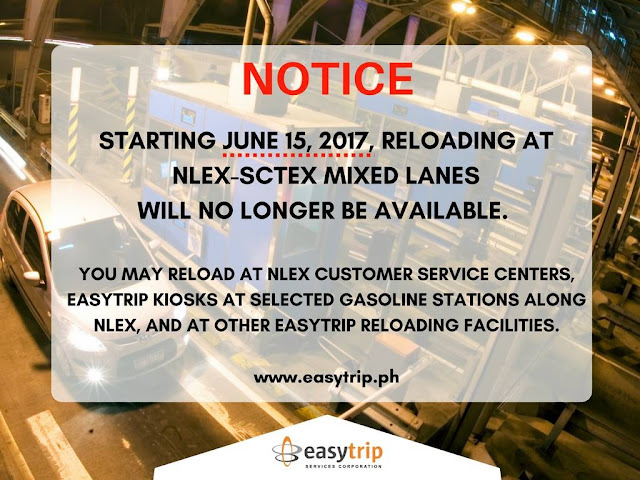 As you can see from the announcement, you cannot reloadat the NLEX-SCTEX lane anymore.You need to do it in advance in another way. NOTE: I recommend using Banco de Oro (BDO) because of the number of branches they have, with mall-based branches also open Saturdays and Sundays. 1. Go to any Banco de Oro branch. 4. After making the deposit, make sure to do any of these two things. If you don't, your easytrip will not be reloaded. A. Email the copy of the validated deposit slip to vds@easytrip.ph or support@easytrip.ph. B. Fax to (+632) 6357752 or (+632)555-7575 (option 3). 5. 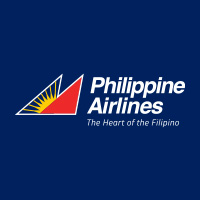 After sending the email or the fax, call (+632)555-7575 (option 4), to confirm that they received the fax or the email. 6. Your easytrip will be reloaded 24 hours after you confirm that they received your fax or email.